I’ve been hearing a lot of buzz lately about Judith August Cosmetics and their fabulous award-winning concealers and concealer makeup products. Recently I had the opportunity to review the Killer Cover Total Blockout Makeup and was excited with the results that I want to share with you here. These products were carefully developed after working with dermatologists, skin care professionals, and plastic surgeons to formulate the best possible coverage for a variety of difficult to cover problems such as age spots, birthmarks, bruises, port wine stains, scars, spider and veins, broken capillaries, tattoos, vitiligo, and post-surgical discolorations from anything from face and eye lifts to rhinoplasties. As you can see from the picture, this Killer Cover Total Blockout Makeup comes in a five- shade color wheel compact of waterproof and sweat-proof creams that can perfectly match any skin tone. This product also had a sponge and a spatula for mixing so you blend colors easily to suit your needs. I have an ugly scar on my knee from a bad cut that even shows when wearing stockings. I tried normal concealers and they never lasted or hid it as I wanted. However, I found the Killer Cover did an excellent job to camouflage it from sight. By the time I was through stippling it into the scar, it practically looked like it was never there. I was greatly impressed for that unbelievable way it erased that scar from view, but also how long it lasted through an entire day and stuck to my knee and not my stocking. I also wanted to see how this product worked as under eye concealer. You need to use a moisturizer or an eye cream to mix with it first for it to spread the way you need it to. Otherwise, this product can be too dry for spreading. But I must tell you how beautifully it banished even the darkest under eye rings that I had while staying put the entire day. This stuff didn’t smudge off or settle into my fine creases either. Seriously, I was highly impressed with Killer Cover Total Blockout Makeup for performance without that heavy theatrical look some similar products may leave you with. 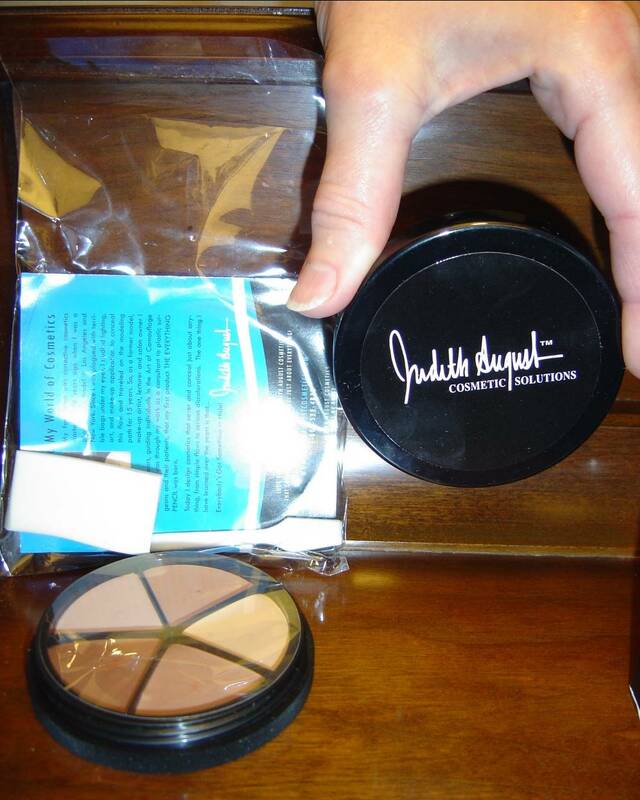 I really do recommend checking out Judith August Cosmetics and this true wonder of a product! Previous Post Do You Want to Avoid Buying the Wrong Shade of Blush?